Barbara Anderson Service Details - SHINNSTON, West Virginia | Harmer Funeral Home, Inc.
Barbara Jean “Sandy” Anderson, age 90, of Shinnston, passed away surrounded by family on Friday, October 26, 2018, a devoted wife to Jackson for 67 years; a loving mother of Jackson (Arlene), Lea (Temp) Smith, Susan (Brad) Rodeheaver, Ben (Andrea Castilla) and John (Lisa). She is also survived by eleven grandchildren and three great-grandchildren. Sandy was born December 12, 1928 and raised in Parkersburg, West Virginia. She is preceded in death by her parents, Winifred and Joseph Dalton Sanford. Sandy attended Marietta College then transferred to and attended West Virginia University where she joined the Alpha Xi Delta Sorority and later graduated with a degree in Education. She then went on to become a reading specialist in the public schools of Harrison County for many years. Jack was deployed to Augsburg, Germany in 1952 and Sandy followed and taught English as a second language there. Although she focused her efforts on raising a family, she enjoyed many accomplishments through volunteering. She served as secretary for the West Virginia United Health Care systems and was on the Board of Directors of the United Summit Center. She also served on Harrison Medical Services Board and was the Chair Woman of the Board of Directors of Maplewood, which accomplished the design, building and opening of the Maplewood facility in Bridgeport. She loved the Tuesday Club and worked hard on her papers and presentations. She was in the Delta Kappa Gamma Educational Honorary Society and she served on the Girl Scout Council of Black Diamond. 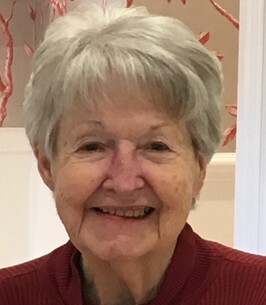 She was active in the Harrison County League for Women Voters and the United Way. She was a true animal lover and at age 85, she could not refuse a home to a stray standard poodle, which then made a total of three standard poodles in her home to care for and love. She was an avid bridge player and a wonderfully adventuresome gourmet cook. Sandy found her true life’s joy and blessing in being a wife, mother, grandmother and great-grandmother. Friends are welcome to come for the memorial service to be held on Saturday, November 24, 2018 at 11:00 a.m. at the First Baptist Church of Shinnston with Pastor Kevin Nuzum and John Koehener. In lieu of flowers, a charitable donation to the Humane Society of Harrison County, Inc. (www.hshcwv.org) would be appreciated. To plant a tree in memory of Barbara Jean "Sandy" Anderson, please visit our Heartfelt Sympathies Store. Reception of friends by her family. I am very sorry to hear of Sandy's passing. She was my friend. My condolences to Jack and the whole family. Very sorry to learn of Sandy's passing, and my condolences to all the family.